These tabs and music videos are fair use and for teaching purposes. [zip PDF tab] is a zipped pdf file of the guitar tabulator. 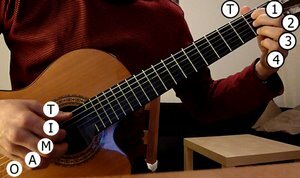 [Guitar pro 5 tab] is a guitar pro 5 file for playing the tab in a music program. You can open them with a free program like TuxGuitar if you dont have guitar pro 5 or newer.